This is the first post in an ongoing series where we will be looking at various ‘Mobile Ticketing Myths’ - exploring some of the common transport industry myths and debunking some misconceptions. We start by tackling the topic of barcode scanning speeds and whether they are fast enough for use at high footfall stations during peak periods in demand. The common misconception is that although barcode tickets work really well in most transport scenarios, they are not well suited for peaks in demand at high footfall stations where throughput on gates needs to be around 25 people per minute or better. So, what is an appropriate gate throughput rate? The gate throughput rate necessary for each transport network varies depending on the transport set up, passenger numbers and peak demand levels. The Myki system in Melbourne seems to be able to handle around 20 people per minute: “Underground stations were designed to handle crush-loaded trains operating at 2.5 minute headways. Handling capacities have been affected by subsequent commercial development, and barrier deployment (in operational mode 20 persons per minute can be processed by each barrier.)" While this report from TFL puts Oyster card at 40 people per minute and magnetic stripe tickets between 15 and 20: “The Oyster card increased capacity by allowing 40 customers per minute to pass through gates compared to 15-20 with magnetic stripe tickets." So how fast do barcodes scan? Barcode achieves reliable read-times of between 250-500ms in a real world environment. Masabi has worked extensively with multiple agencies to test barcode ticket throughput at fare gates. Findings have shown that barcodes achieve throughput in line with other forms of fare media, such as smartcards, and are often faster than magnetic stripe tickets. In a recent lab test in the US, barcode gates achieved an average throughput of 29 people per minute. When Kings Cross was renovated and re-opened in 2013, all of its gate lines were barcode enabled. The same was the case for Birmingham New Street station, when after a five year project the new gates went fully operational in 2015. This trend is continuing across the UK rail network, as barcode based mobile ticketing continues to expand across the country. As this blog post shows, it is now possible to use your barcode mobile ticket from Penzance to Aberdeen and through high footfall hub stations. However there is a problem with some UK gates which don’t currently provide a beep or visual feedback to the passenger after they have successfully scanned their ticket. This lack of feedback results in passengers not proceeding quickly through the gates, and instead sometimes repeatedly present their ticket to the reader until the gate registers a double-use, and refuses entry. This is a software problem that needs to be resolved before an accurate UK throughput test can take place for UK barcode enabled gates. What is Masabi’s experience with gates? Back in 2009 we understood that scanning speeds represented a challenge to barcode mobile ticketing for high footfall stations and we worked closely with scanner hardware partners to help optimise the speed at which these scan. In 2010 Masabi and Chiltern Railways launched our first barcode ticketing gateline in Marylebone station in London. Marylebone is a major London station with links to the Underground. 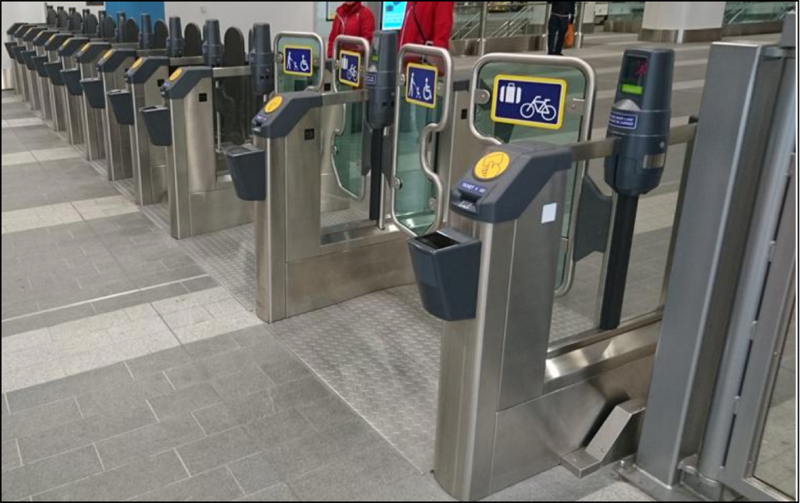 After a successful trial at one of central London’s busiest stations, Chiltern Railways went on to convert the gates across their network to accept barcode mobile tickets. 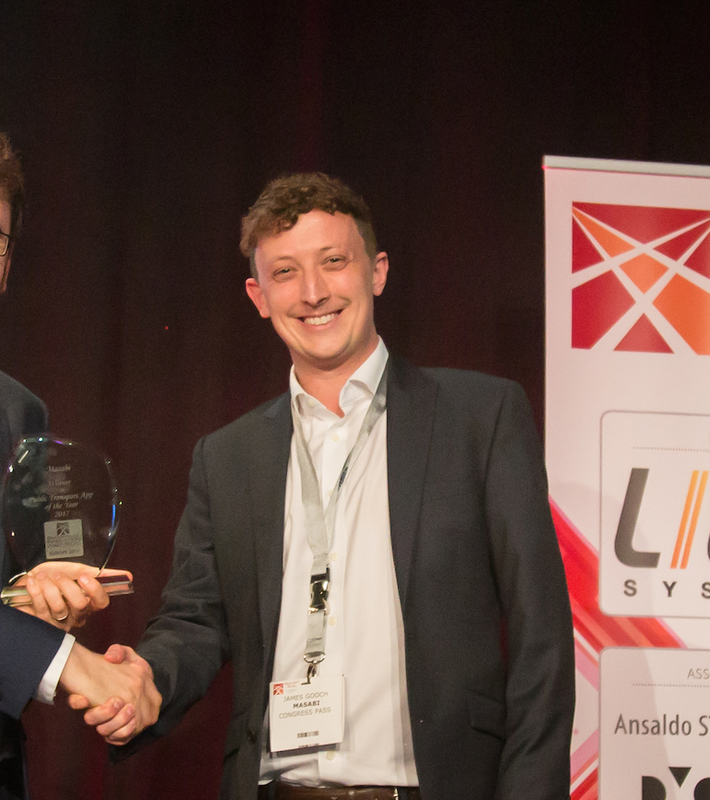 Masabi has been at the forefront of barcode scanning technology for the last 8 years and in the coming months we plan multiple implementations of barcode reading devices at fare gates across a number of tier one global cities. Although this post is focused exclusively on barcode gate speeds, it is worth noting that all the validation solutions we offer in our Inspect Validation Suite are built to read barcode tickets and also NFC and bluetooth low energy (BLE), ensuring whichever technology mix you choose can be scanned by our validation solutions both now and in the future. In all our 25+ mobile ticketing deployments, mobile ticketing adoption is on the rise. In some cases over 50% of ticket sales are through our mobile ticketing applications. This is a huge testament to how well barcode tickets work in a transport environment. Barcode scanning technology continues to evolve. The next generation of scanners currently under development are even faster at scanning codes from a phone screen than the ones currently operational. 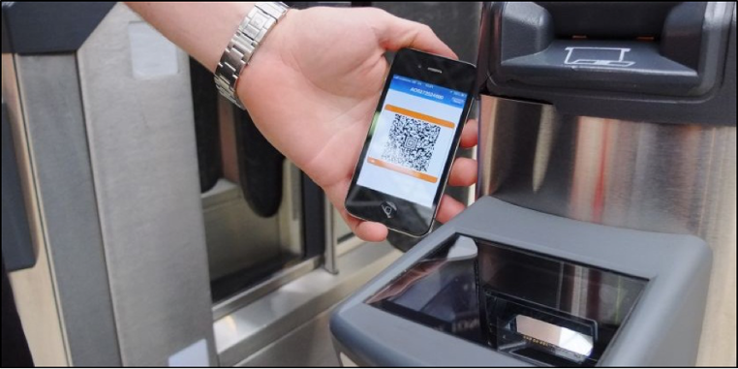 The future looks bright for barcode scanning technology, which is great news for passengers who no longer need to queue up at a ticket vending machine or ticket office to buy their ticket. As the use of mobile ticketing increases across the globe the demand for barcode enabled ticketing gates is only going to increase. With speeds similar to smartcards and faster than magnetic stripe tickets, the myth that barcodes scan too slowly for use at high footfall stations should well and truly be consigned to a thing of the past.